Dramatically set waterfront property located on a private lane. Bathed in sunlight this 5 B/R, 4 1/2 bath Colonial is in an oh so convenient in town location w/a dock that rests on Lee's pond. Youâll be surrounded by sweeping water views from almost every room. Gaze at Leeâs Pond from your Master B/R Suite with a balcony overlooking the water, boasting a large bath & walk in closet. The family room set just off of the kitchen has 2 sets of French doors that welcome visitors to the spacious flagstone patio. The bonus room upstairs also provides generous loft space. Sparkling hardwood floors were just refinished throughout the house. There is a finished walk out lower level with a half bath. Itâs all about lifestyle. A comfortable stroll of 1.2 miles will enable you to bask in downtown Westportâs amenities. Just over 3 Miles (minutes) to train, & Compo Beach. 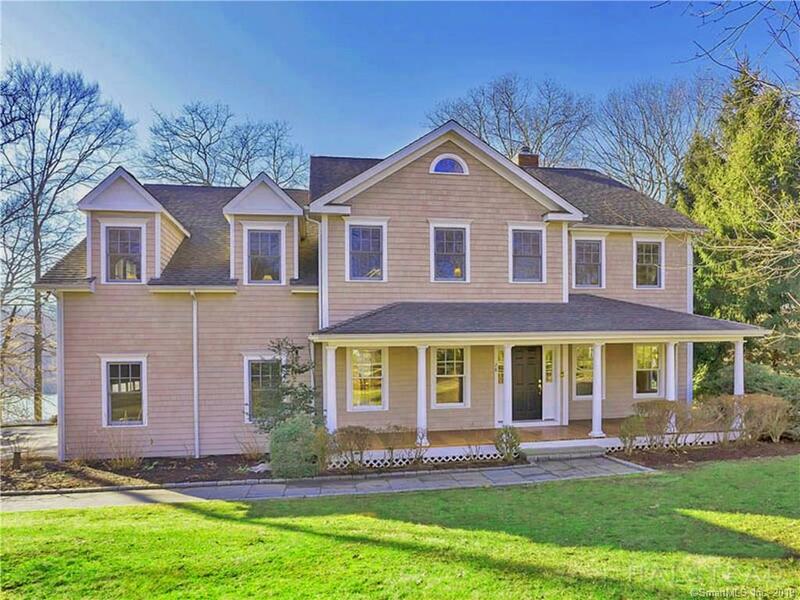 Easy access to Merritt Parkway & I-95. Steps invite you down to the private dock for relaxation, picnics, kayaking, canoeing, paddleboard, fishing or bird watching from your own waterfront backyard.